White collar crimes, like fraud, are extremely complicated to investigate and often demand multiple federal agencies and heavy sentences. This month, seven defendants pleaded guilty to a series of offenses linked to the fraudulent sale of dietary supplements by a Dallas company. The Dallas Morning News noted how USP Labs claimed its products were derived from natural materials. Prosecutors said the supplements were made from dangerous synthetic materials manufactured in Chinese chemical factories. They claimed the company executives knew of the dangers of the ingredients and referred to one as a “questionable powder”, court records reveal. The claims the supplements were natural and beneficial helped fuel a profit of more than $230 million for USP Labs’ owners, federal investigators said. The U.S. Department of Justice hit the company and its owners with an 11-count indictment in 2015. This month, seven defendants pleaded guilty to the offenses. The Morning News reported Matthew Hebert, of Dallas, and Cyril Willson, of Nebraska, admitted introducing misbranded food into interstate commerce with the intent to defraud or mislead. The company took advantage of a massively profitable supplement industry. As many as three-quarters of Americans use the products. However, federal regulators are cracking down on dietary pills over health concerns and bringing heavy sentences against companies accused of fraud. USP Labs was one of more than 100 supplement companies that were indicted by the feds in a 2015 nationwide sweep. A dietary supplement manufactured by USP Labs was linked to the 2011 death of Demekia Cola, an Army sergeant based at Fort Bliss. Those pleading guilty included Jonathan Doyle, the Dallas-based president of USP Labs. Last month, he admitted conspiracy to introduce misbranded food into interstate commerce. Doyle faces a prison term of up to five years. Sitesh Patel, a former pharmacist and vice president of S.K. Laboratories, faces up to six years in prison. Patel from California pleaded guilty on Feb. 25 to the introduction of misbranded food into interstate commerce and conspiracy to introduce misbranded food into interstate commerce. USP Labs CEO Jacobo Geissler, of University Park, pleaded guilty last month to conspiracy to introduce misbranded food into interstate commerce. He also faces up to five years in prison. 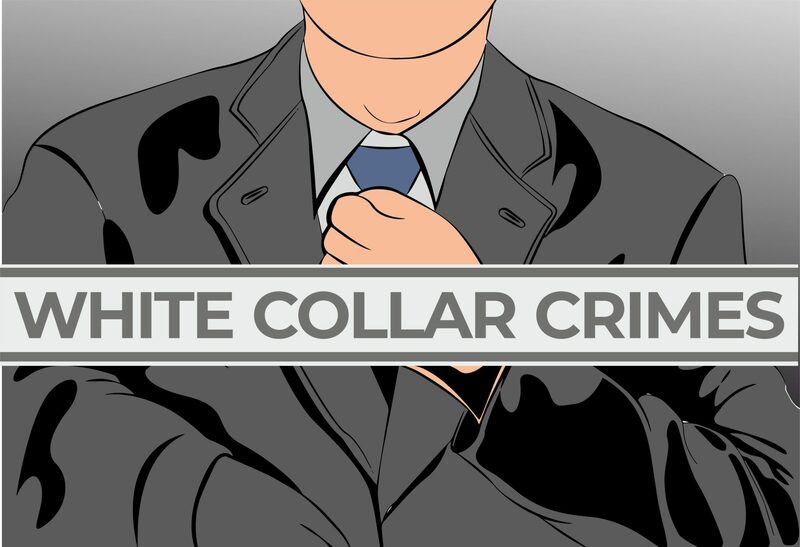 White collar crimes typically involve massive federal investigations and stiff penalties. Texas has featured in many prominent white-collar investigations including that of Enron and Allen Stanford, a former Texas billionaire who was sentenced to 110 years in jail for defrauding investors of $7 billion. If you have been charged with a crime of this nature, please contact an experienced Dallas white collar crime attorney as soon as possible.